Images from attached archive can be unzipped into a folder. You can switch to one of these variants or use a few together. 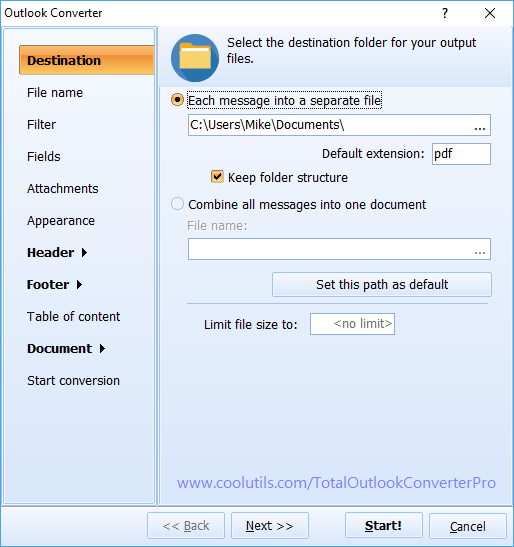 This Outlook converter supports all graphic formats popular today, and you can be sure that attached images will be properly recognized. 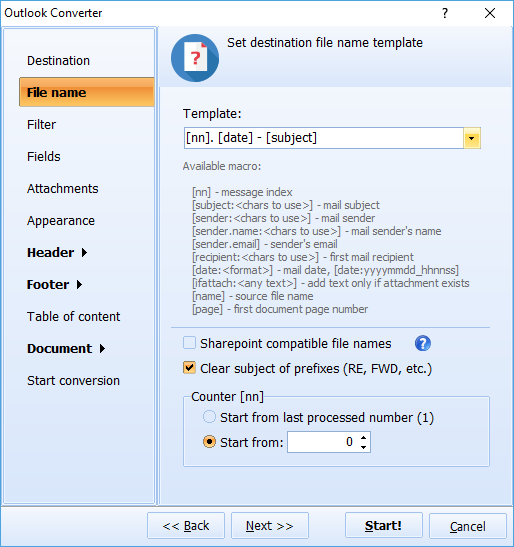 In order to setup attachments conversion, first you need to choose source emails and target format. After this go to the "Attachments" tab of settings wizard and select proper mode(s). Just put a checkmark near required options. 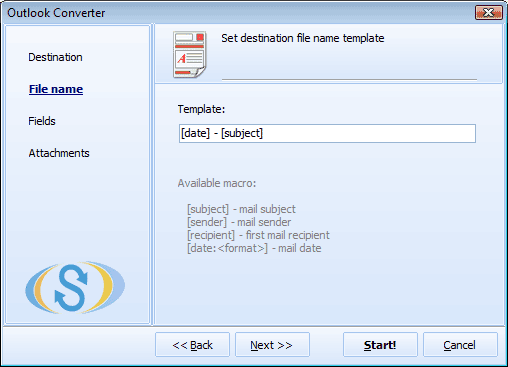 You can also convert emails with images from the command line. Special codes are responsible for proper image processing. 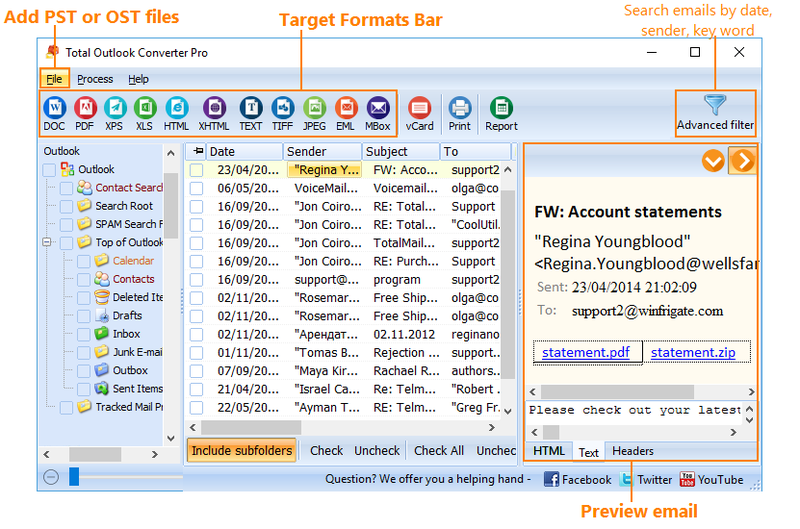 For instance, "-images" will include images into converted emails, "-sattach" will save them to a separate folder. For people who are not familiar with command line mode there is an option of automatic command generation. It will generate a command based on settings selected in the wizard and save it to a bat file. Then you can just run bat file in command line dialogue and get emails converted. 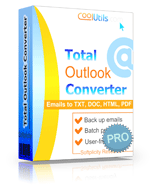 Standard Total Outlook Converter doesn't support conversion of attached images, but Pro version does. You can get it here.